So I know I’ve mentioned this cookbook before, but here I am mentioning it again. It’s just that good! 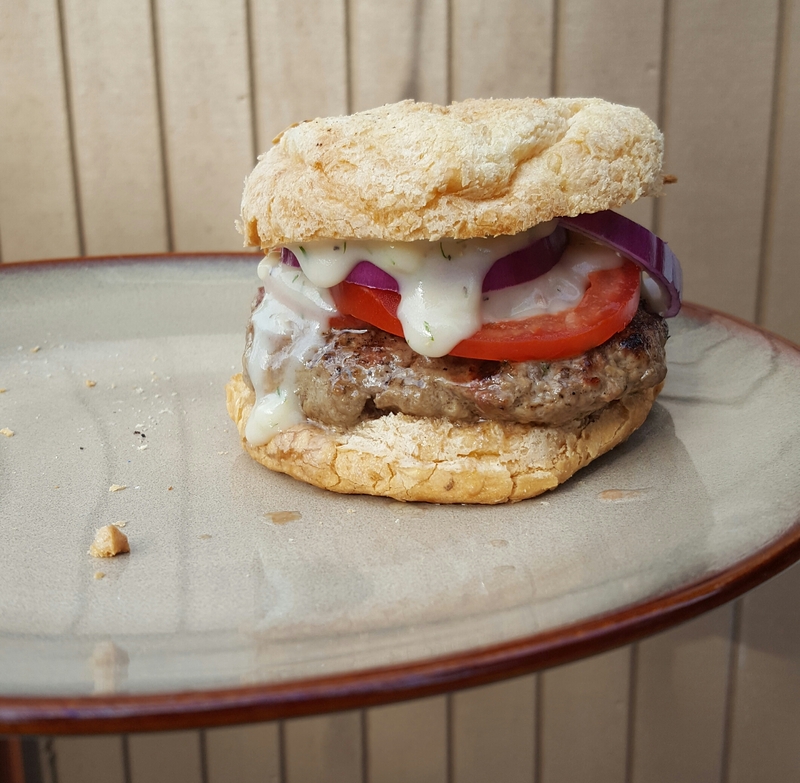 I tried the Greek Lamb Burgers with Tzatziki sauce from Against All Grain Meals Made Simple and they were so good! The only adjustment I made was to serve it on a GF/DF bun, rather than serving on lettuce leaves. But, if you are trying to avoid carbs then serving this on lettuce leaves would be a great option. There is so much flavor in the burger, and the kick of the red onion, and tangy flavor of the tzatziki sauce…it’s all so good! The only thing I’ll try different next time is to find a GF/DF/Soy Free yogurt that is less sweet to make the tzatziki with. It was a tad on the sweet side for us, but still good. I’m telling you this cookbook is worth the investment! Everything I’ve made has been really good and worthy of adding to our meal rotation!